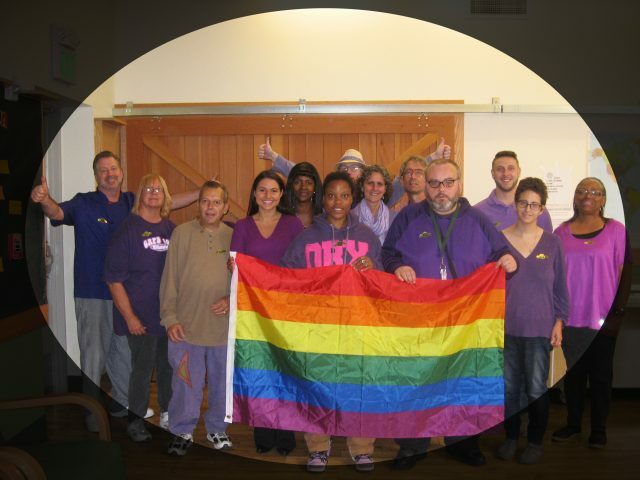 Members of Fellowship Place came together today to celebrate Spirit Day for LGBT History Month. On this day, each year, millions wear purple as a sign of support for LGBTQ youth and to speak out against bullying. Members of Fellowship took the pledge to go purple!! !